Melissa Eaves is a Special Counsel in the White Collar/Government Contracts, Investigations & International Trade Practice Group in the firm's Los Angeles office. Melissa currently focuses her practice in complex civil litigation, fraud, investigations white collar criminal defense and False Claims Act litigation. She has been practicing more than 30 years and has substantial experience in TVPRA/human trafficking litigation, American with Disabilities Act and FTC litigation, compliance investigations, FAR MDR reviews and insolvency litigation. Melissa was part of the team that recently won a complete defense victory in a human trafficking case. She has also obtained complete defense verdicts in trials involving ADA claims. 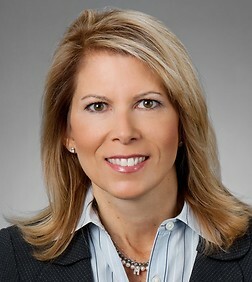 She also has represented the California Insurance Commissioner in the Executive Life Insurance Company, First Capital and Mission Insurance Group insolvencies and reinsurance litigation, involving over 300 reinsurers worldwide, representing recoveries in excess of $1.3 billion. Melissa has substantial litigation experience in both state and federal courts, including the United States Supreme Court, enforcing judgments abroad, and supervision of domestic and foreign outside counsel. Senior member of team in TVPRA case obtaining summary judgment on all claims. Tried 3 ADA cases to complete defense verdict. Senior member of a trial team representing Fry’s Electronics, Inc. in a $100 million fraud action. Ms. Eaves was responsible for coordination of discovery and experts. The case settled on favorable terms shortly before trial. Acted as “second chair” in a multi-million dollar defense action brought by the Federal Trade Commission in a false advertising case. The matter was complicated by an ongoing criminal investigation and ultimately settled prior to trial. Acted as “second chair” in fraud litigation involving a multi-million dollar real estate venture which was settled favorably on the eve of trial. Played a senior role in a year-long False Claims Act Mandatory Disclosure Rule “LookBack” investigation for Northrop Grumman Corporation. Acted as “second chair” in a trial involving an insurance insolvency rehabilitation as well as a senior role in litigation seeking recovery of facultative and treaty reinsurance proceeds which yielded over $1.3 billion to the estate. Quackenbush v. Allstate Ins. Co. (517 U.S. 706, 1996). Quackenbush v. Allstate Ins. Co. (121 F.3d 1371, 1997). Quackenbush v. Mission Ins. Co. (62 Cal. App. 4th 797, 1998). Quackenbush v. Mission Ins. Co. (46 Cal. 4th 458, 1996). In re Mission Ins. Co. (Imperial), (41 Cal. App. 4th 828, 1995). Sunburst Bank, N.A. v. Executive Life Ins. Co. (24 Cal. App. 4th 1156, 1994). Prudential Ins. Co. v. Garamendi (3 Cal. 4th 1118, 1992). California Automobile Assigned Risk Plan v. Garamendi (232 Cal. App. 3d. 904, 1991).